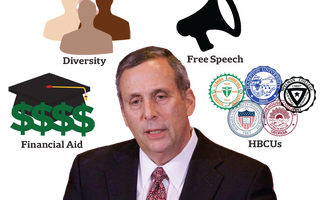 Members of the faculty committee tasked with advising Harvard’s presidential search said several of its members had suggested the man who would ultimately land the job: Lawrence S. Bacow. 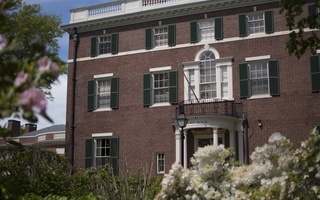 Bacow, a member of the Harvard Corporation, was not initially an obvious choice for the presidency; until mid-December, he sat on the very committee charged with finding a person to fill that office. But Harvard Corporation Senior Fellow William F. Lee '72, who led the search committee, said he urged Bacow to consider the job after many Harvard affiliates had recommended him. 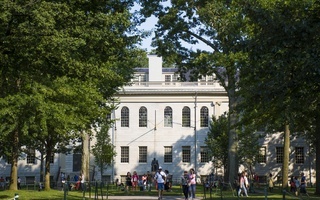 Members of the faculty advisory committee were among his early supporters, according to committee member Alison J. Simmons, a philosophy professor. Dean of Arts and Humanities Robin E. Kelsey, who chaired the faculty advisory committee for the presidential search. The 13-member faculty advisory committee formed in August 2017 as one of the three bodies tasked with aiding the official search committee, which included 12 members of the Harvard Corporation—including Bacow—and three members of the Board of Overseers. While the faculty committee did not have control over the ultimate decision, they shared their thoughts with search committee members in the fall. 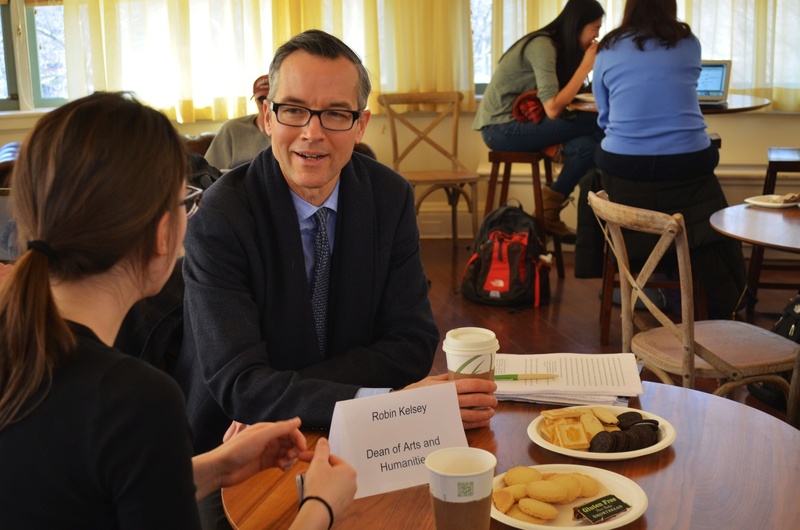 Advisory Committee Chair Robin E. Kelsey, who also serves as dean of Arts and Humanities, said in an interview Monday there was “tremendous enthusiasm” from the advisory committee for Bacow’s appointment. “I also know that when Bill Lee asked the members of the faculty advisory committee to let him know if there were any members of the search committee that they thought should be considered, that some members came forward in support of Larry,” Kelsey said. In the press conference announcing Bacow’s appointment Sunday, Lee said the search committee prioritized feedback from the faculty advisory committee. “The input of the faculty advisory committee chaired by Robin Kelsey was particularly important as we were viewing the many different possible candidates,” Lee said. Lee also said Bacow’s name was suggested by faculty at Harvard and other institutions multiple times during the search. Simmons said she first met Bacow while working on the presidential search. He and other members of the search committee took turns sitting in on the advisory meetings. Throughout the search, members of the committee repeatedly denied or did not respond to multiple requests for comment. 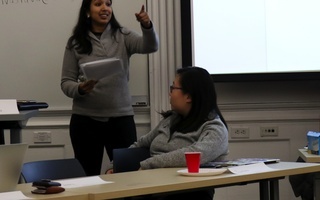 Kelsey said the proceedings of the search committee were kept confidential, and the faculty advisory committee held its meetings from August into December. According to Lee, Bacow did not step down from the search committee until December. “And so last December with no public fanfare, actually no public announcement at all, Larry Bacow stepped off the search committee and became a candidate,” Lee said at Sunday’s press conference. Kelsey said Bacow recused himself from the search as the faculty committee was wrapping up its meetings. “With respect to the advisory committee's proceedings, it was very late in the game,” Kelsey said. Simmons said the early meetings with search committee members helped her better understand Bacow’s personality and style. —Staff writer Angela N. Fu can be reached at angela.fu@thecrimson.com. Follow her on Twitter @angelanfu. —Staff writer Lucy Wang can be reached at lucy.wang@thecrimson.com. Follow her on Twitter @lucyyloo22. —Staff writer Luke W. Xu can be reached at luke.xu@thecrimson.com. Follow him on Twitter @duke_of_luke_.